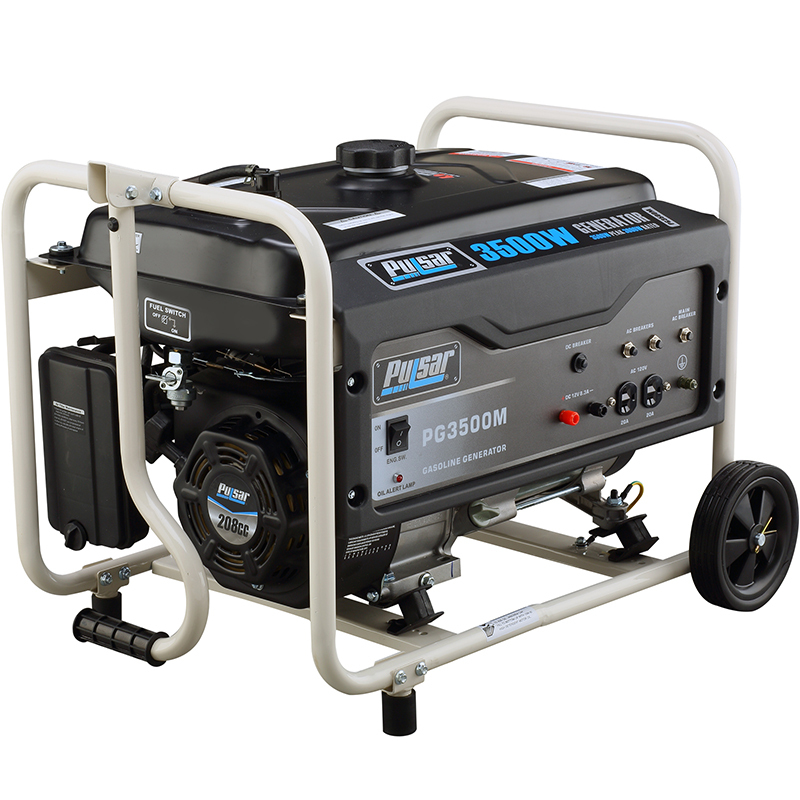 The PG3500M, incorporates Pulsar’s famous 7 HP dura-life engine that operates at just 67% of capacity when providing total output of up to 3500 peak watts of power. This allows for quieter operation, longer life and better fuel economy for operation up to 15 hours from just 4 gallons of gasoline. While the included mobility kit and dual 120V and 12V outlets will not only will power major appliances and other devices at the same time, its compact size, light weight and mobility kit make it ideal for contractors, camping, cottages and boats…wherever portable power is needed.